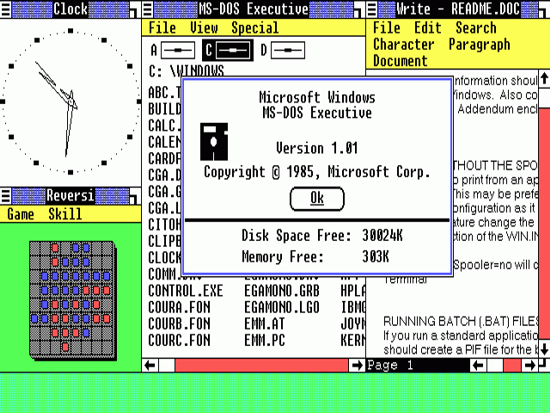 Features: Windows 1.0 is an MS-DOS program. 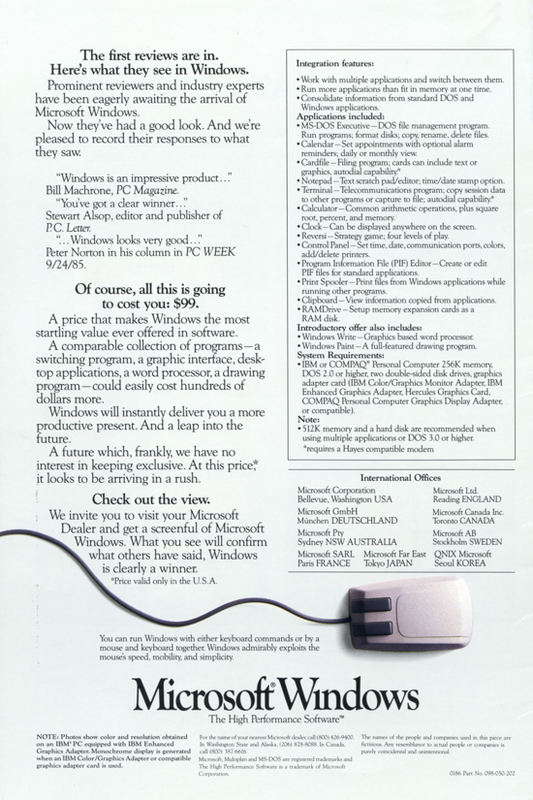 It requires MS-DOS version 2.0, two double-sided disk drives or a hard disk, 256K of memory or greater and a graphics-adapter card. Windows 1.0 does not allow overlapping windows. 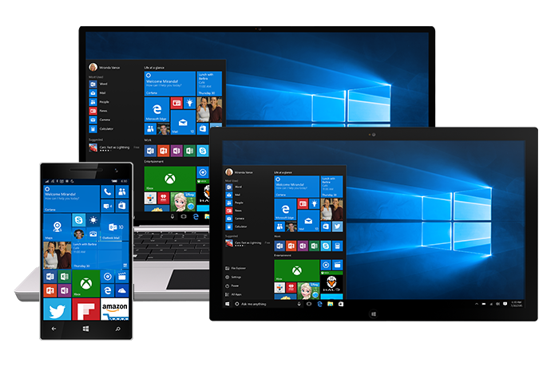 Instead all windows are tiled. Only modal dialog boxes may appear over other windows. 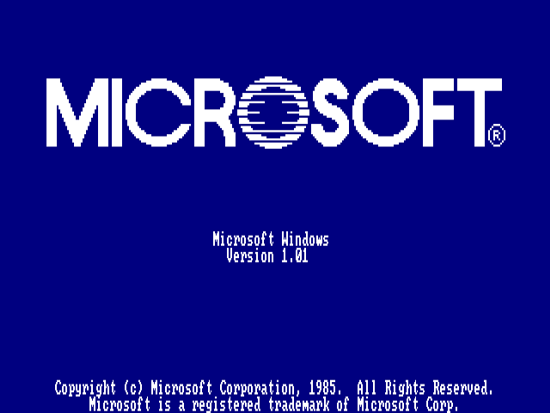 Windows 1.0 runs a shell program known as the MS-DOS Executive, which is little more than a mouse-able output of the DIR command that does not support icons. 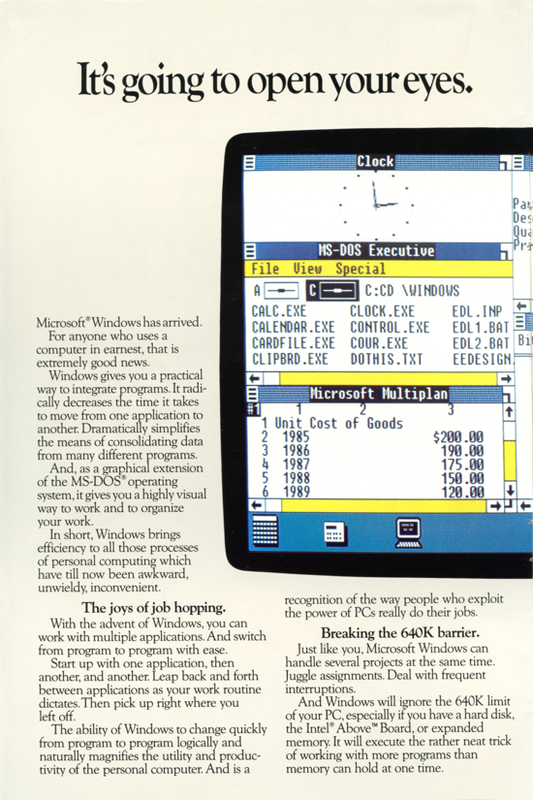 Components included Calculator, Calendar, Cardfile, Clipboard viewer, Clock, Control Panel, Notepad, Paint, Reversi, Terminal and Write. 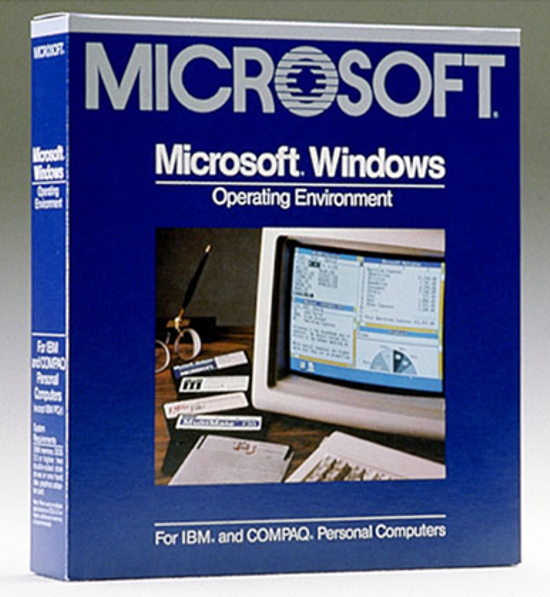 Package contained some manuals and five 5.25" floppy disks: Setup Disk, Build Disk, Utilities Disk, Desktop Applications Disk, and Program Disk (Microsoft Windows Write). 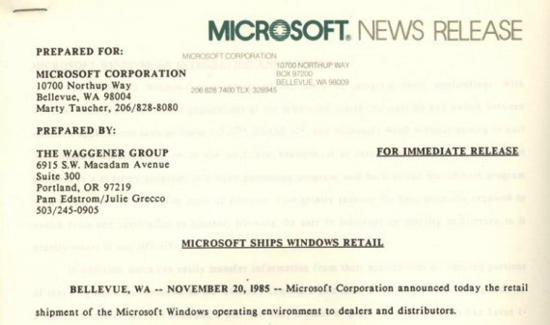 Windows 1.0 was officially declared obsolete and unsupported by Microsoft on December 31, 2001. 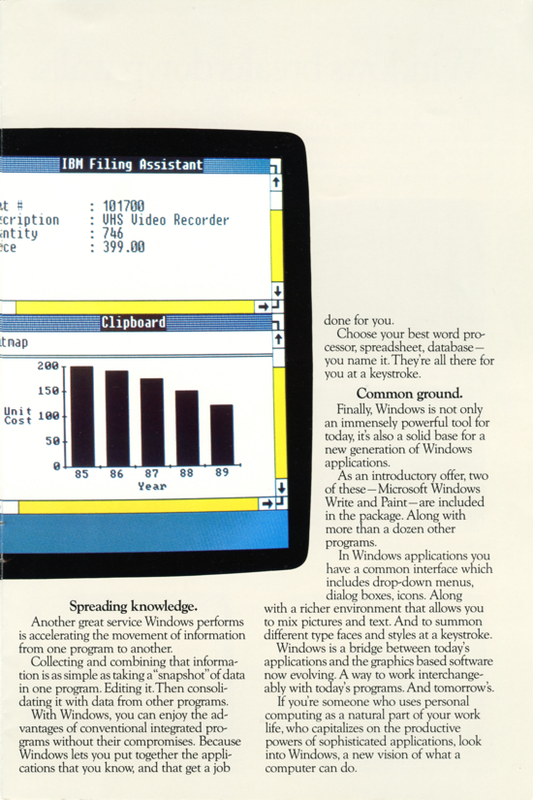 Interesting facts: The history of Windows dates back to September 1981, when Chase Bishop, a computer scientist, designed the first model of an electronic device and project "Interface Manager" was started. 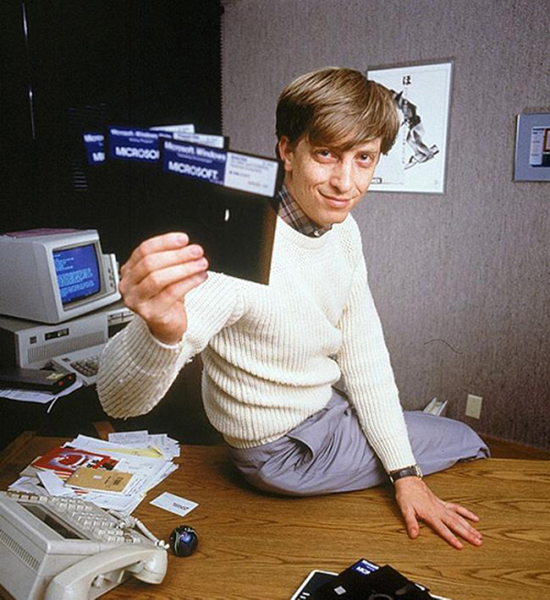 It was presented to the public under the name "Windows" on November 10, 1983 and released two years later. 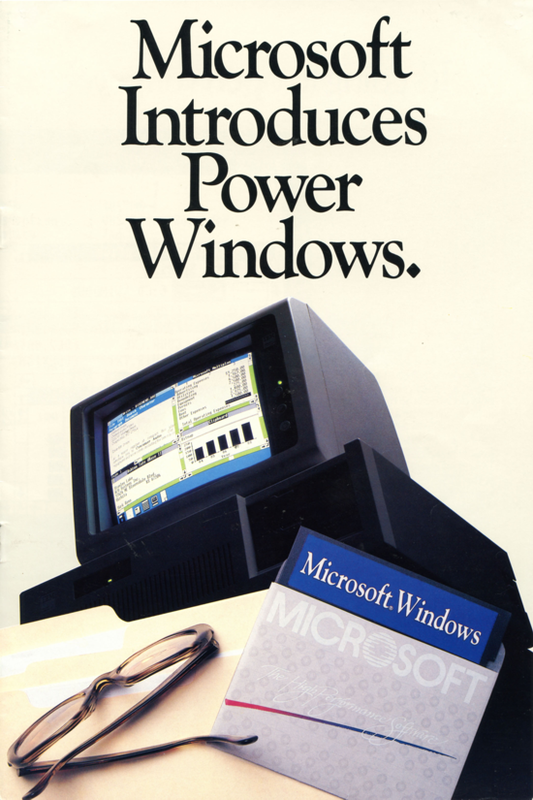 Slogan (1986): «Microsoft Introduces Power Windows. It's going to open your eyes». 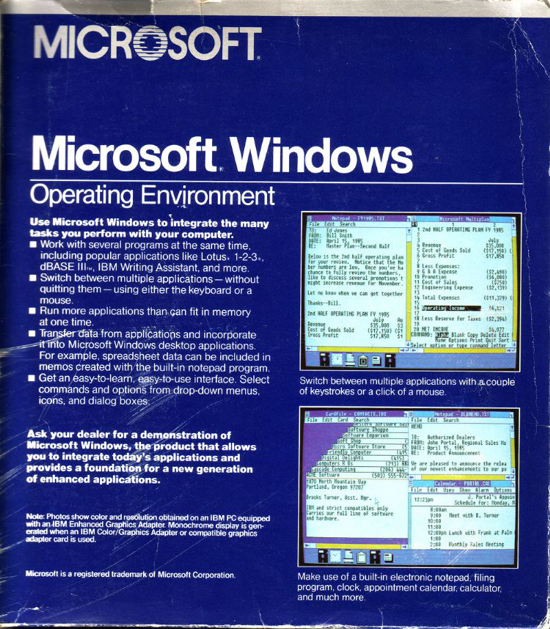 Windows 1.0 box. 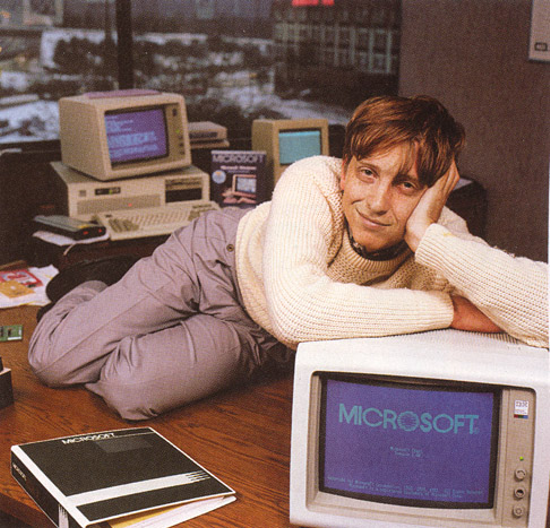 It contained five 5.25" floppy disks and some manuals. 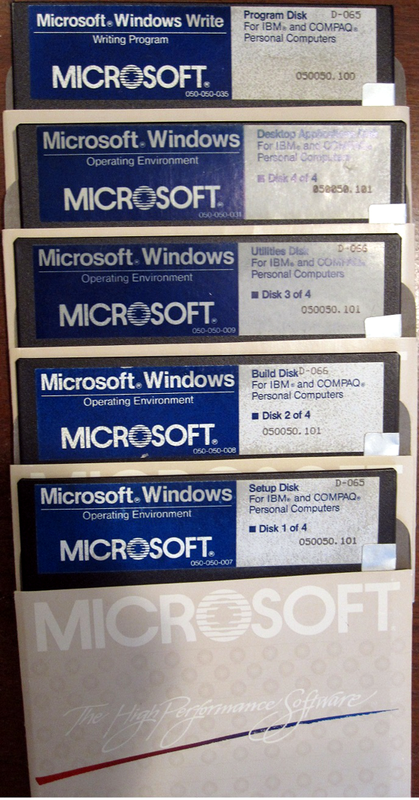 Windows 1.0 floppy disks suite: Setup Disk, Build Disk, Utilities Disk, Desktop Applications Disk, Program Disk (Microsoft Windows Write).